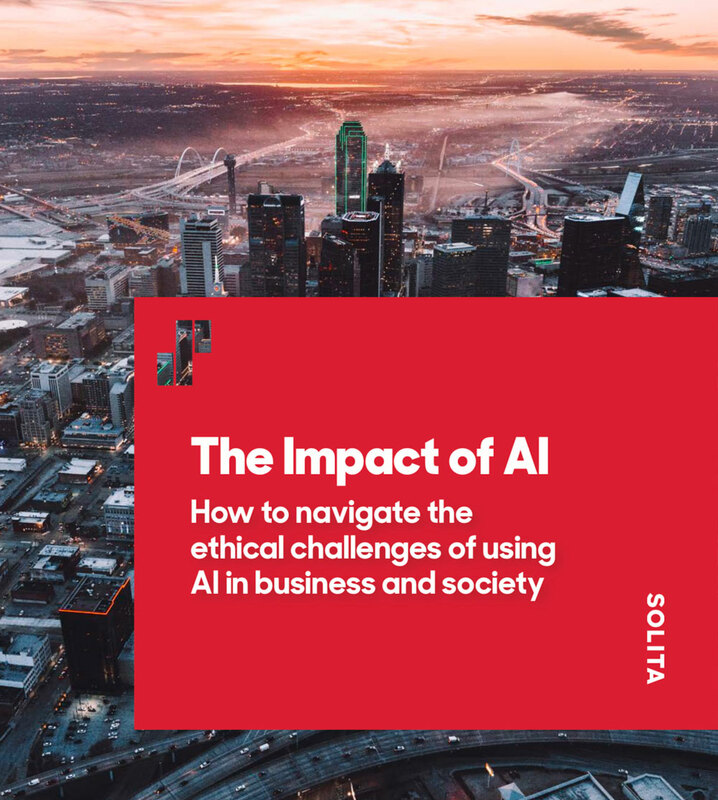 Is your business utilising AI in an ethical way? AI solutions are reshaping businesses and societies. Do you have the knowledge to make the right choices in this changing environment? Our report guides you through the moral maze of AI ethics. With leading experts’ insight, example cases and sweeping surveys, The Impact of AI orients you in the age of automated decision-making. Is your organisation using AI in the right way? Will your business model be obsolete? How will AI transform your daily life? Find your way out of the maze. Download the free report. Amer Sports needed a better way to predict the demand for its products, as well as sales, in the global market. The company wanted to produce just the optimal amount of products. It needed predictability – that is, data. Together with DNA, the leading Finnish telecommunications groups, we built a new platform to help them serve their customers in a revolutionary way: The Ultimate Data Platform is a high tech analytics solution that utilizes artificial intelligence and serves DNA’s customers and the development of the customer experience. Solita is a digital transformation company driven by data and human insight. We create culture, services and tech solutions that help us reinvent businesses and society for the better. We are constantly looking for talented professionals to join us in Finland and Sweden. Check out our open positions.